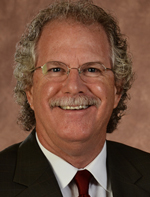 Since 1970, Rick Rollins has worked in multiple entities of the automotive aftermarket industry. His career began as a mechanic progressing to auto parts store counterman, then on to being a (high) performance buyer for a large warehouse distributor. Rick continued his career in 1981 joining Hastings Manufacturing as district manager, then advancing to regional sales manager. Rick moved on to Taylor Cable Products in Kansas City MO, where he served as VP Marketing and Sales for the next eleven years while also owning and driving a F2000 race car. In 1999 he relocated to Sanford, FL to accept a position with Superchips, Inc. as VP of Marketing and Sales and was later promoted to VP of Marketing Relations for the MSD Performance Group of companies. In 2009 Rick started Rollins Performance Marketing, LLC consulting with automotive companies in the accessory & performance industry. He currently serves as Vice President at CRANE Cams in Daytona Beach, FL while in addition he owns Filter Solutions Technologies, LLC/FST Performance, which is a manufacturer of high-end performance fuel filtration systems and filters. Rick has served a total of 18 years on the SEMA Board of Directors, including 2 years as Chairman of the Board. Among his numerous awards, he has been inducted into the SEMA and MPMC Halls of Fame and has been recognized twice by the PWA as its Person of the Year.